Earn the Scaled Agile (SA) Certificate and learn how to implement large-scale Agile software development programs in your enterprise. Execute & release value through Release Trains. Build an Agile Portfolio. Lead a Lean-Agile enterprise. The first 2 days teach the core knowledge required to lead a SAFe implementation at an organization, and attendance is mandatory for these first 2 days in order to be eligible to write the challenge exam for SA Certification. We encourage attendees to stay for the 3rd (last) optional day where a deeper discussion of broader 'scaling' Agile topics are explored, including real-world challenges and impediments to success. This third optional day will be conducted like a Lean Coffee Q&A session, where attendees will identify and investigate related scaling topics that are directly relevant to them. 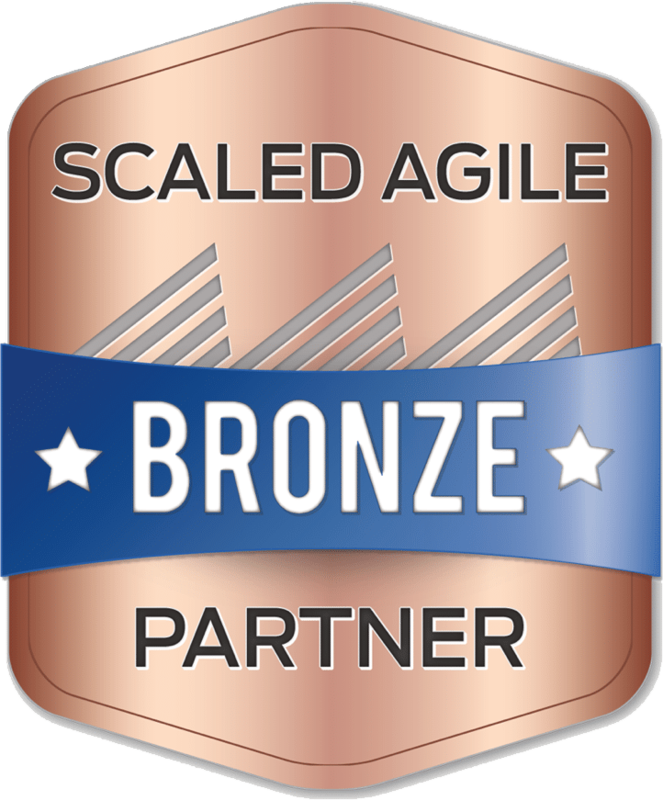 To earn the SA certification, attendees are also required to successfully pass an online exam with Scaled Agile after the class concludes. The success rate is 96% of our students that attempt to write the exam end up passing and achieving SA certification, compared to the average pass rate of 76% (across all instructors globally). Maximize your chance of success by attending this class. This 2-day course teaches the practices, terminology and Lean-Agile principles of the Scaled Agile Framework (SAFe®). Learn how to execute and release through Agile Release Trains, build an Agile Portfolio, and lead an enterprise transformation to Agility by leveraging SAFe®. Attending this class will prepare you to take the exam and become a certified SAFe® Agilist (SA). BERTEIG is also a Registered Education Provider with the Project Management Institute. The Leading SAFe course is well organized and structured. It is a terrific training for management to develop the sense of Scaled Agile Framework, and in the mean time provides hands on simulation for deeper understanding. I would recommend this course to any manager in any organization. 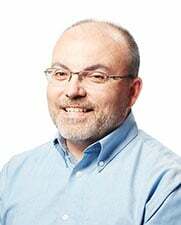 Jerry is a very great instructor with deep knowledge in SAFe and Agile in general. Highly recommended. High content training, trainer is interactive and knowledge(able). Jerry is a great instructor, he engages the students and provides insights and feedback to all. The course really opened up a lot of great discussions and some aha moments as it relates to existing Agile practices as we work to scale..
Jerry is an excellent facilitator and coach who has hands-on practical experience in large and small teams, both in highly political, highly dysfunctional, and disorganized environments, as well as working with Lean and nimble Start-ups. His experience easily contributes to half the course content because he makes it real..
Jerry's candid training style is a breath of fresh air! Jerry clearly takes pride in his work and it shows in his training ability. I loved hearing about his experiences implementing Agile as an experienced Agile coach..
(The instructor) is very familiar with real world scenarios that have real practical application of methodology. I was really impressed with our instructor, Jerry. 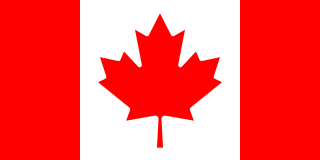 He was very knowledgeable and has extensive experience in the field working in many different organizations. It was great to get his 'real-world' perspective on the topic of scaling Agile. The instructor was excellent and really understood the content and its nuances. Great course! Learnt a lot beyond just the immediate course pak. 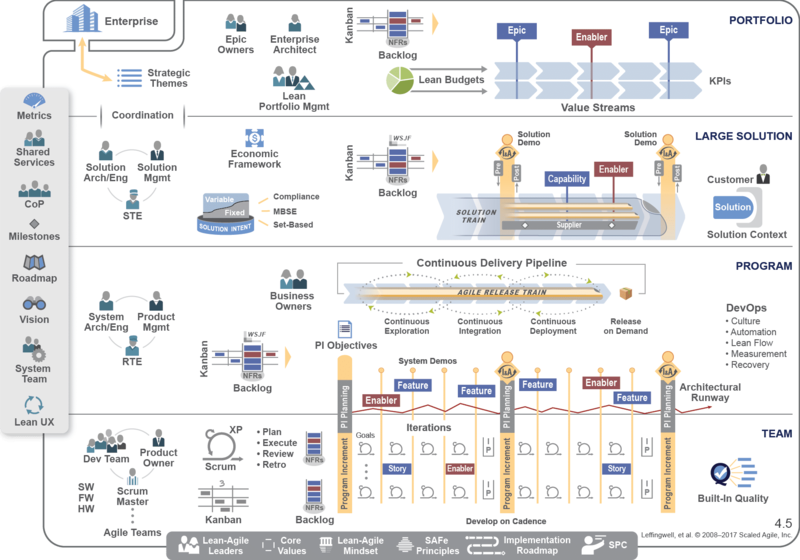 The training of Scaled Agile opens the door to a whole new world for me. If scaling is important to you, take this course. Great course. Knowledgeable instructor who kept the attendees engaged. Great introduction to Leading SAFe - the challenges and the benefits of the methodology - and being able to distinguish the differences between Scrum and SAFe. This course was very enlightening to learn that scaling agile in large enterprises is possible. Sharing conversations and experiences with others in the class was also very valuable. Course is excellent; good material to read. This course gave me a great grounding and knowledge, and ideas of how to communicate and share with my team. It has been an excellent imparting of knowledge and (the facilitator) has been able to explain things in detail. Instructor took the approach of teaching the principles of SAFe through analyzing real-life problems in an organization and explaining how SAFe approach would address them. Provided good understanding of SAFe Framework. I recommend this course to all senior managers who are thinking of scaling Agile in their organization…The principles and structure of SAFe are valuable to all. Excellent course. Very eye-opening. 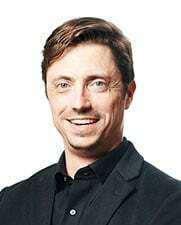 Travis is an excellent instructor who knows the material well and communicates it in a clear, engaging and entertaining way. I am looking forward to digging deeper and applying these sensible scaling practices. Provides good framework for implementation on a high level in organization , since documenting it and having transparency is key. 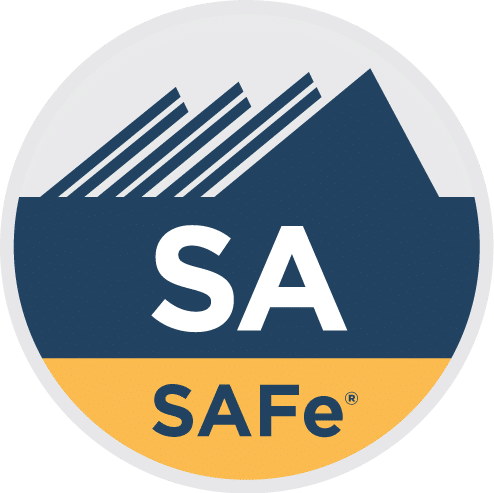 You will not only learn the materials required to take the certified SAFe® Agilist (SA) exam but attending this class will prepare you to take the exam and become a certified SAFe® Agilist (SA). The SAFe® Agilist (SA) certification program is for executives, managers and Agile change agents responsible for leading a Lean-Agile change initiative in a large software enterprise. 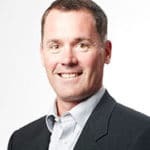 It validates their knowledge in applying the Scaled Agile Framework, lean thinking, and product development flow principles in an enterprise context so they can lead the adoption of the Scaled Agile Framework. 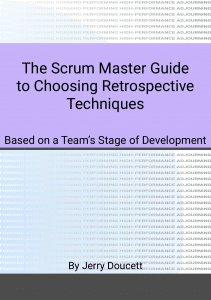 This is a collection of the best articles from the Agile Advice blog with additional commentary, updates, and 3 exclusive articles written just for the book. 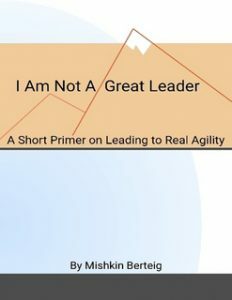 Attendees also receive the e-book “I Am Not A Great Leader” by Mishkin Berteig. This book provides principles and practical advice on leading to Real Agility™.